By clicking on 'I accept and I continue', you accept the cookies used on this site. This cookie enables us to collect statistic datas about our site usage, and improve your navigation experience. In connection with specific marketing actions, we may use advertising cookie to offer you customised advertising. 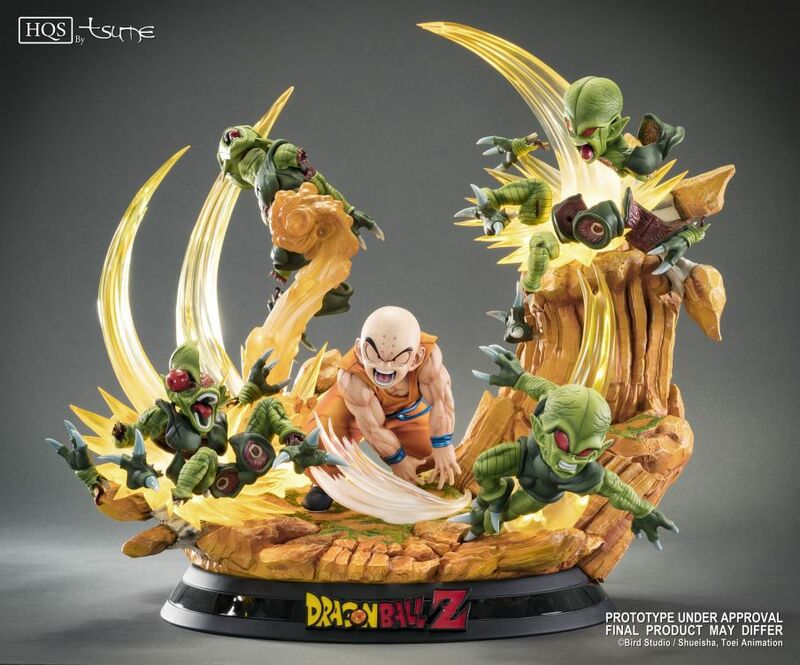 Krillin is finally in the spotlight! 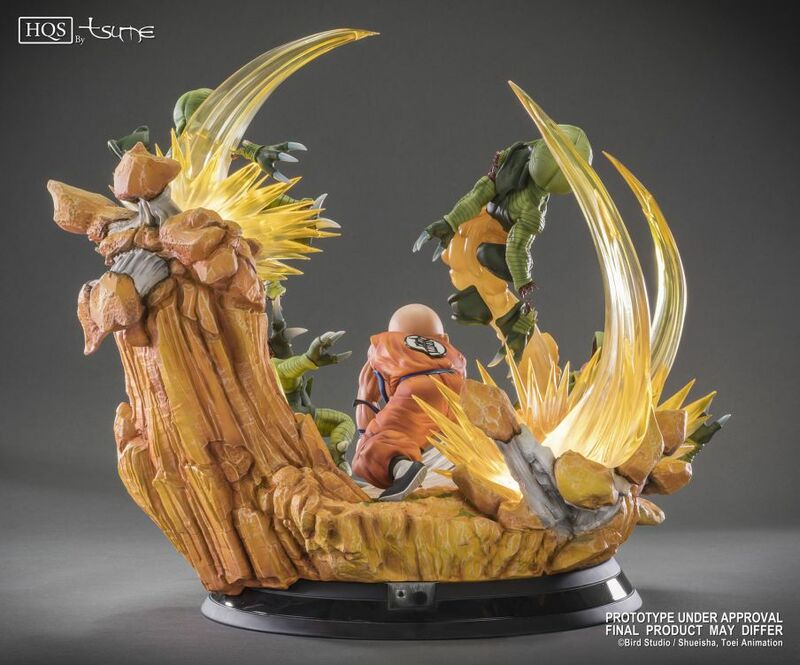 TSUME is adapting the best friend of Son Goku at the scale 1/6 in the form of an incredible diorama. Usually quite reserved and calm , Krillin loses his temper when Yamcha dies in front of his eyes. 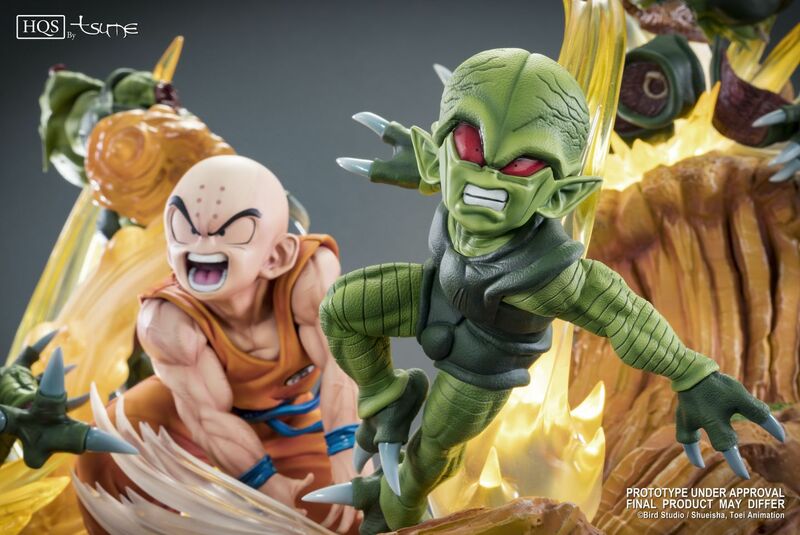 He then unleashes a devastating attack that kills in one fell swoop three of the six Saibaimen who were attacking his friends. It's a cult moment and one of a few that shows how powerful this character is. 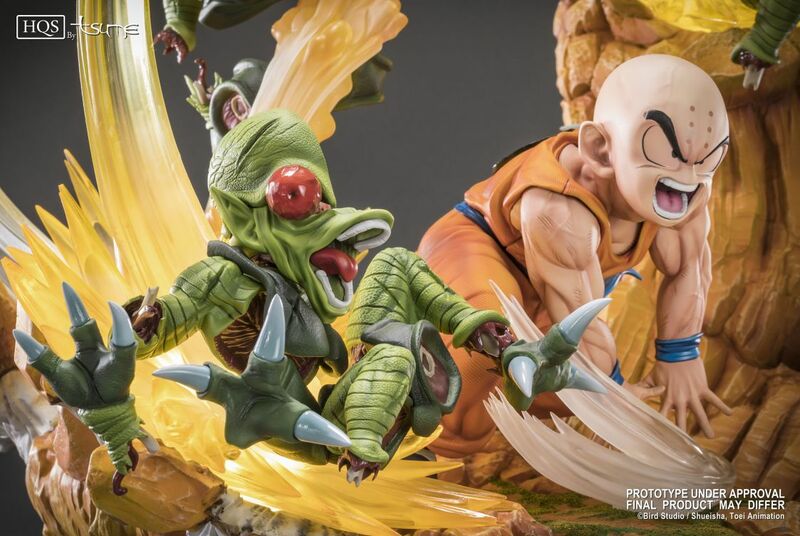 This is the reason why we wanted to adapt this scene into a statue, even if it meant going back a little bit in the chronology of our statues of the Dragon Ball Z series. 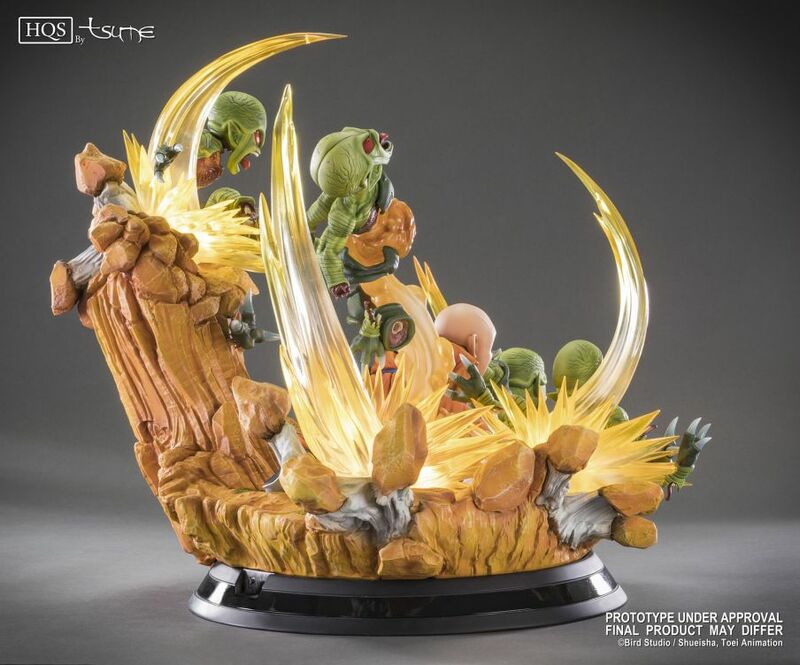 The sculpture is all about dynamism, centered on Krillin, while the monsters explode in pieces around him. 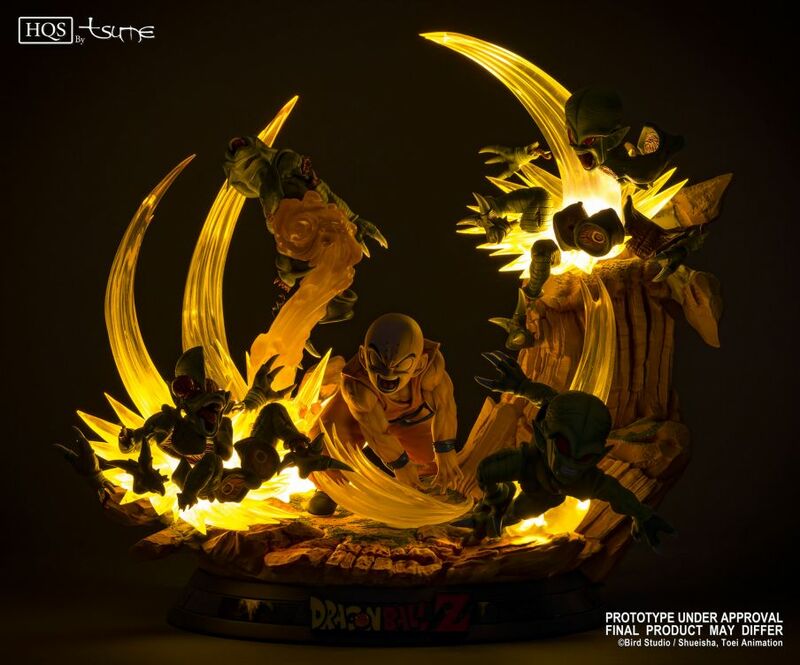 Each wave of light is enhanced by a system of LEDs and small details such as the Saibaimen that stumbles off the base, or the eye that comes out of its orbit, make this scene quite realistic. 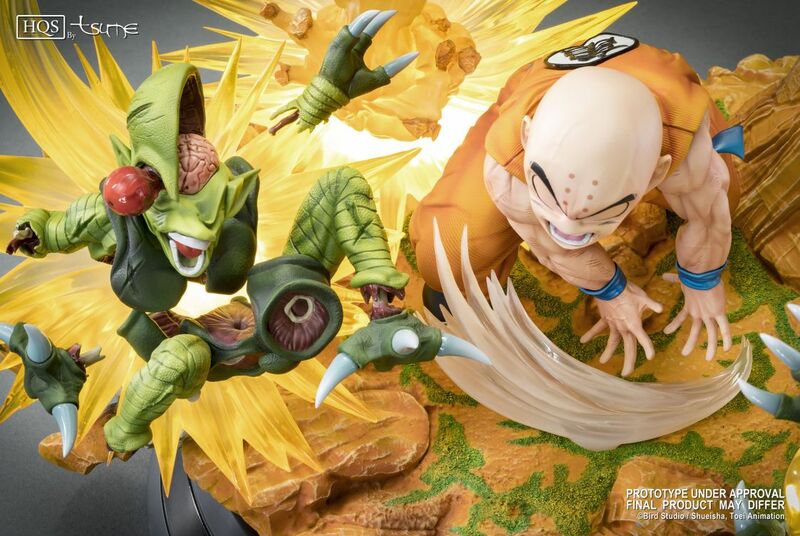 The coloring is consistent with the previous statues of the series, with a dominant of ocher and orange hues on the base and Krillin, while contrasting with the green colors of the Saibaimen. 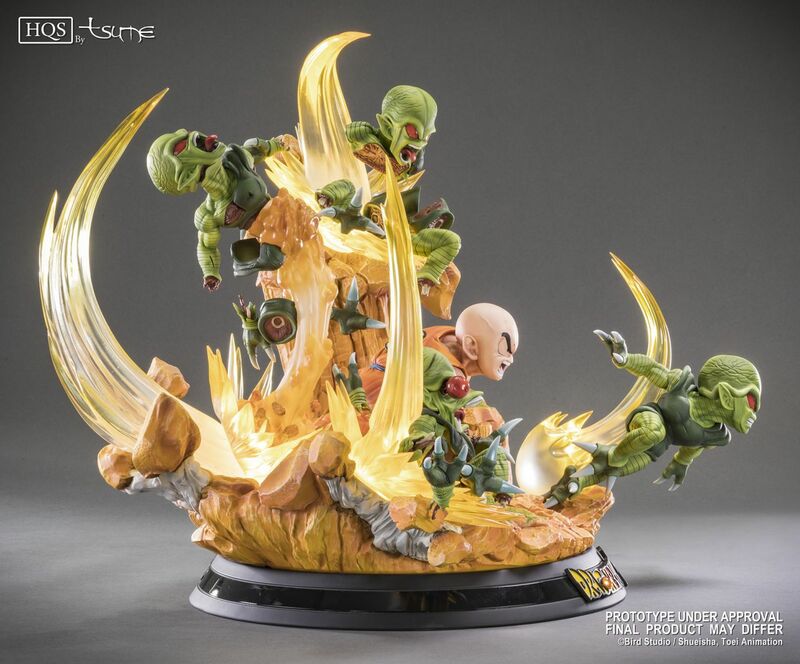 The statue comes with a numbered plate and a certificate of authenticity. Scale 1/6 Total run of 2000 pieces. * : All our products are collectible statues, not toys, they are for people aged 14 and older. 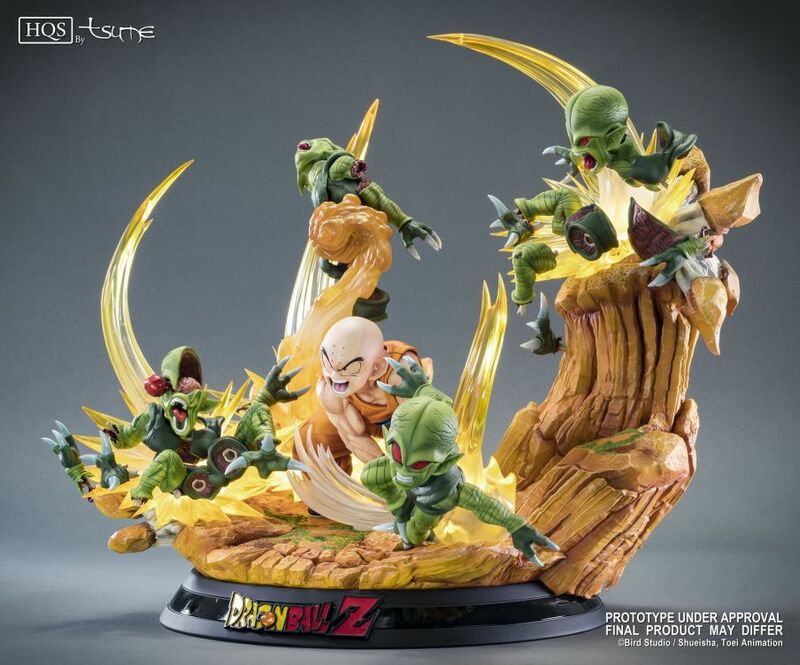 All parts are manufactured in limited edition. 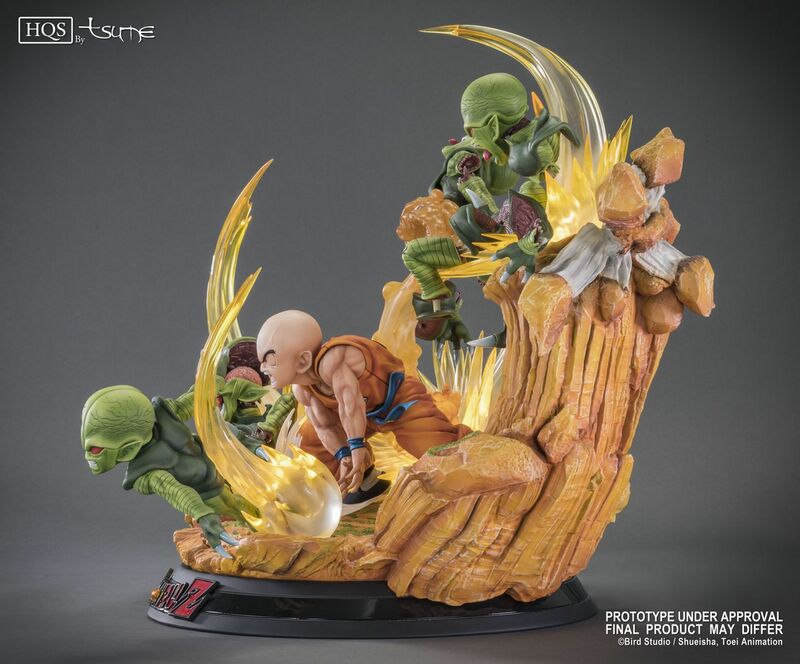 The statues offered for sale are those presented on the website of the TSUME LTD. within the limit of available stocks. Descriptions, information and photographs presenting the figures are the most accurate reproduction possible, but are for illustrative purposes and have no contractual value. 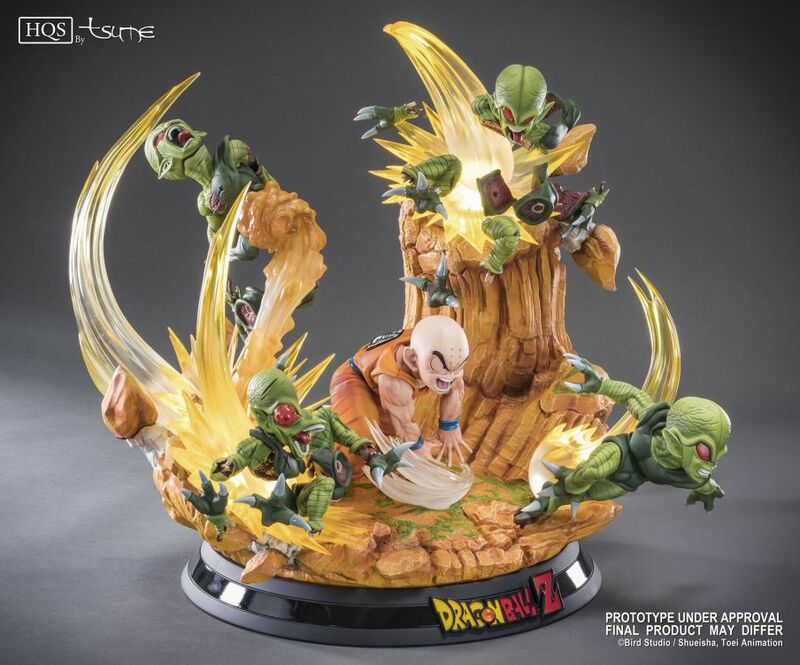 In an effort to constantly improve the quality of its products, the TSUME LTD. may have to have to change the patterns of its products. All rights reserved. All other logos, products and company names mentioned are trademarks of their respective owners.